is a collaboration born from Chris Carrier and Deana Wojcik’s love of food, experiments, and all things weird. The idea for our urban farm was hatched during our semester in Build Institute’s Social Entrepreneurship class. We're working to realize our goal of functioning as a teaching farm that produces food for area residents and restaurants, hosts students and citizen scientists in the lab, and collaborates with local environmental agencies on bioremediation efforts. OPEN SOURCE, CLOSED LOOP is how we sum up our approach to farming, food, and business. At The Mushroom Factory we blend traditional mushroom cultivation practices with modern technology in an effort to be as efficient and sustainable as possible. OPEN SOURCE is the notion that free information generates innovation, promotes access, and stirs creativity. We're transparent about our methods—the code we write, the tools we use, and the failures we face along the way. Why? Because we think people deserve to know the full story of the food they buy and eat. CLOSED LOOP is a commitment to creative reuse. We've set out to leverage underutilized resources in our community: spent brewers grain, sawdust, cardboard, a long-vacant warehouse. By making productive use of other industries' byproducts, we're attempting to tighten connections among Detroit businesses and localize recycling—in other words, close the loop. For us it's about collaboration over competition and sustainability over shortcuts. If you want to learn more or share your own experience, please reach out! The Mushroom Factory promotes food access and sustainable agriculture in Detroit by growing gourmet and medicinal mushrooms using spent materials. We define sustainable agriculture as high-tech, low-impact, and driven by innovation. These values guide our business strategy and we prioritize reflection on key questions: Which resources are underutilized? How can we better activate existing spaces? What tools can we create to promote efficiency? This commitment to sustainability applies to the experiences of our employees as well. Careers in education, engineering, and agriculture have taught us the many ways work can be unsustainable—underpayment, overexertion, and monotony undermine productivity, retention, and creativity. The Mushroom Factory is uniquely positioned to create a new, more balanced and progress-focused work experience. Our interdisciplinary mission allows us to work with each employee's goals and strengths. A single employee may spend some time writing code, some time shoveling grain, and some time leading farm tours or educational workshops. This prevents the injury often associated with farm labor and develops more well-rounded, versatile staff. 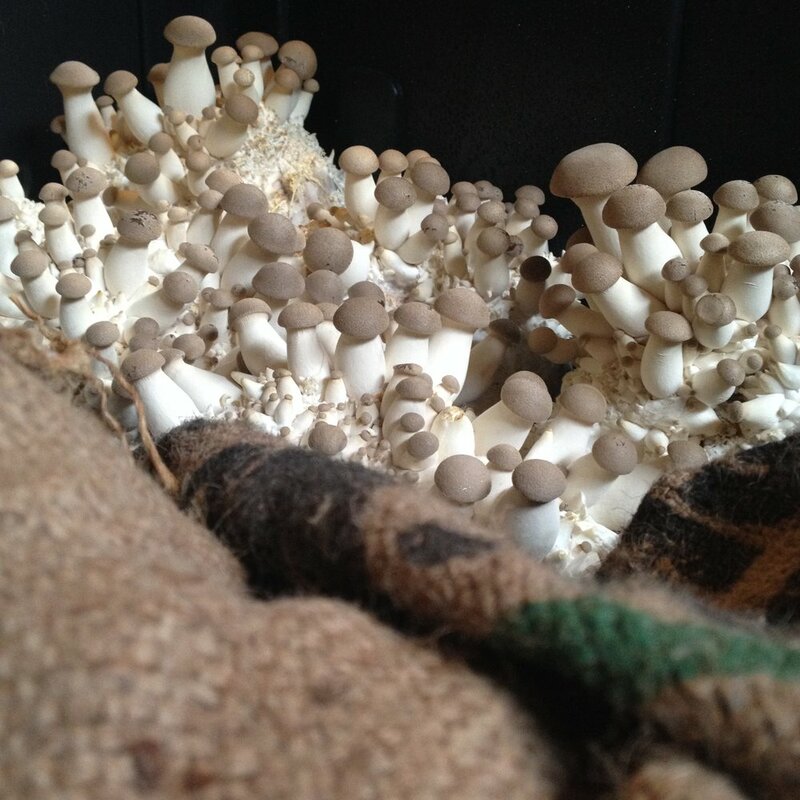 We love to see how folks are using our fungi. Whether you're cooking with Mushroom Factory mushrooms, growing your own with our plugs or spawn, or rocking some Mush Merch, we want to see! Tag us on social media and don't forget #fungiisfunguys!